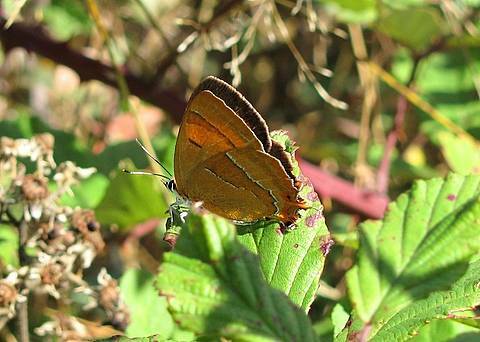 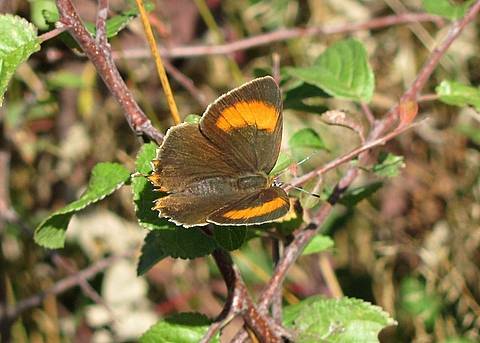 Although hairstreaks regularly settle with wings closed, females of this species sometimes hold their wings open to reveal vivid orange patches on the forewings which are absent in the male. 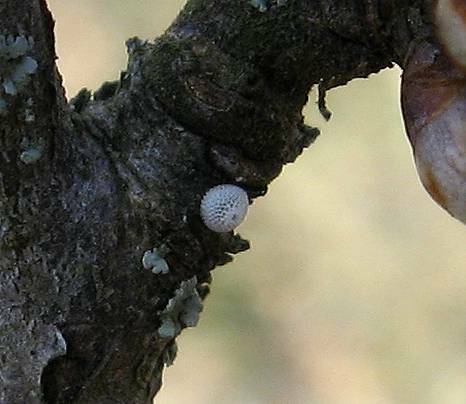 This is often a hard species to detect as adults remain largely hidden in the tree canopy. 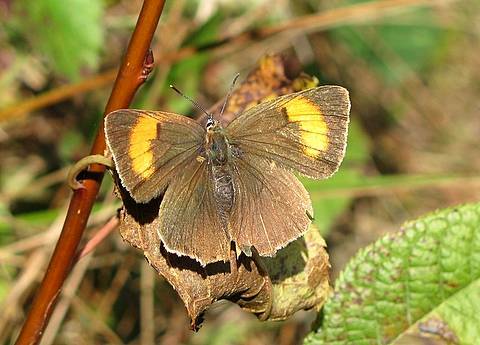 Individual females are most usually observed when they descend to bush level to look for egg laying sites on stands of blackthorn. 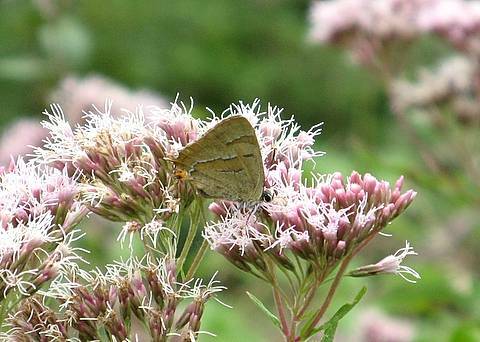 The butterflies do take nectar from flowers and are particularly partial to hemp agrimony. 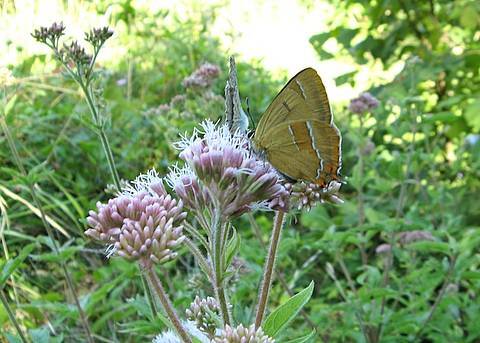 It is therefore a good technique to study these flowers closely in the hope of spotting the butterfly. 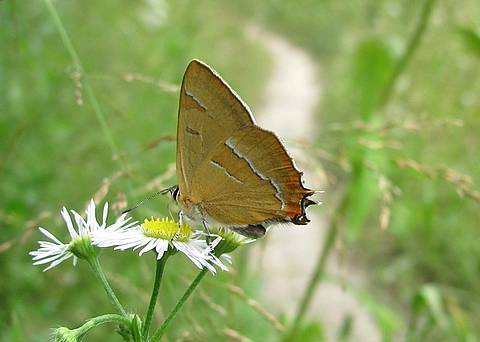 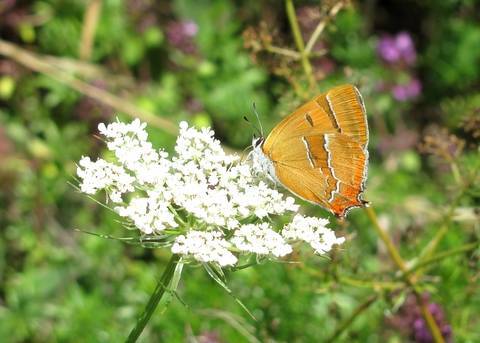 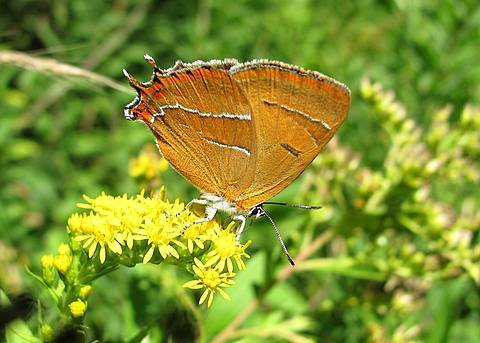 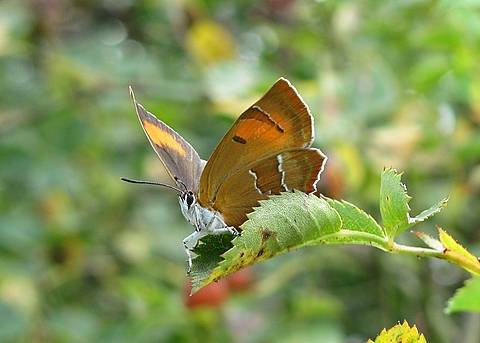 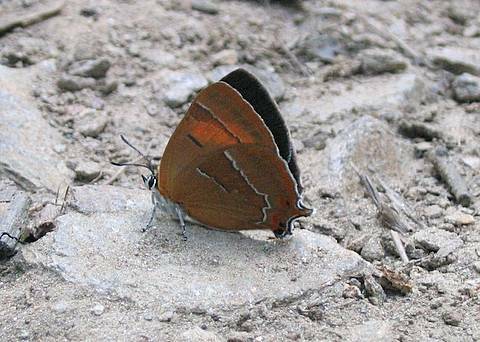 The Brown Hairstreak flies late in the season with adults emerging in mid-July and flying through late summer right through to October in some cases.